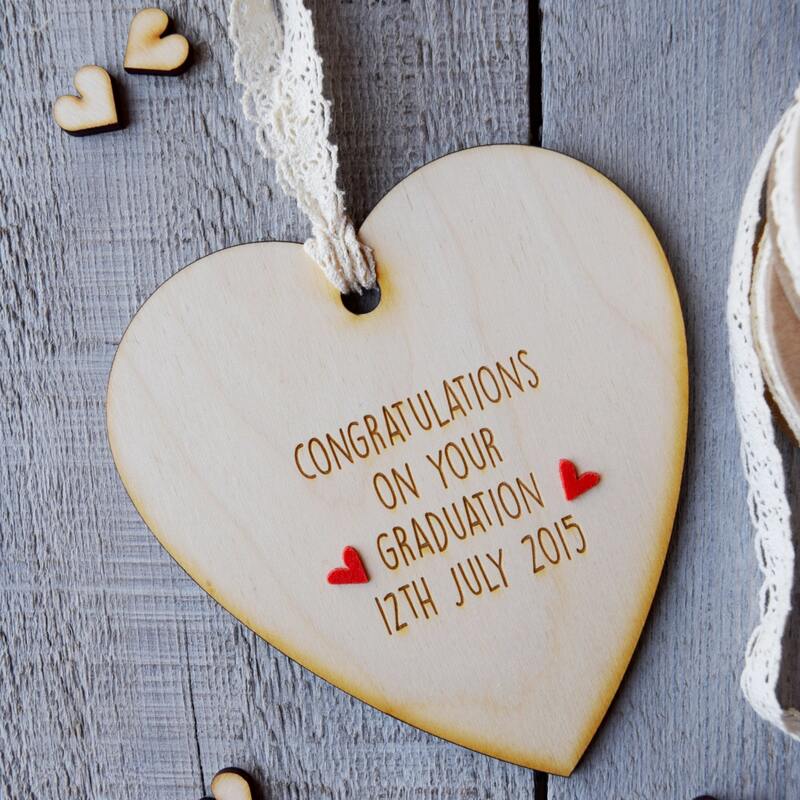 A lovely gift to give to a boy as a graduation day keepsake. 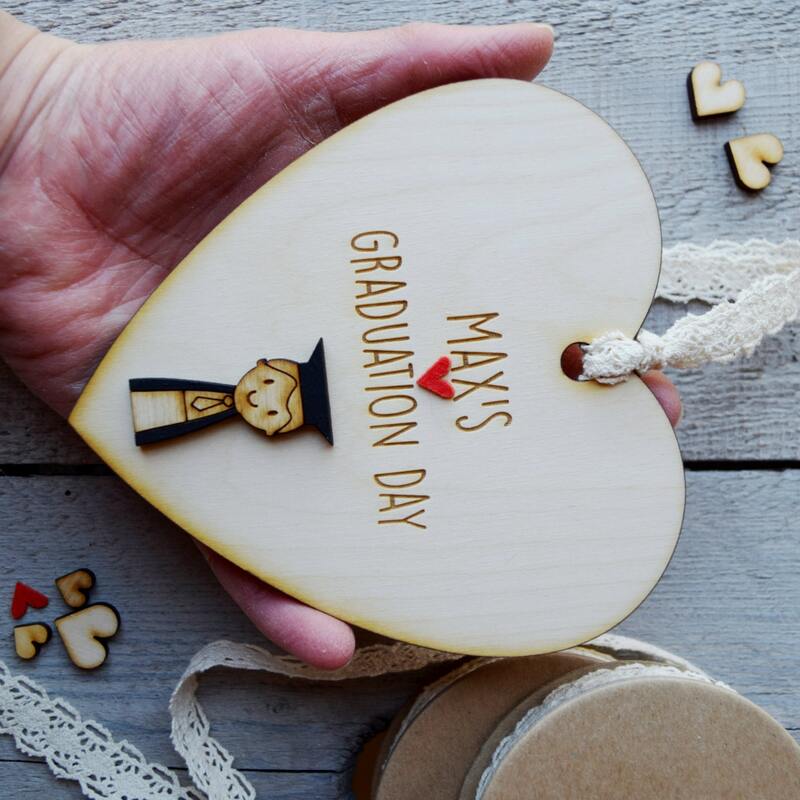 The heart features a cute little wooden boy figure dressed in his graduation gown and is finished with red felt heart accents and vintage style cream lace. 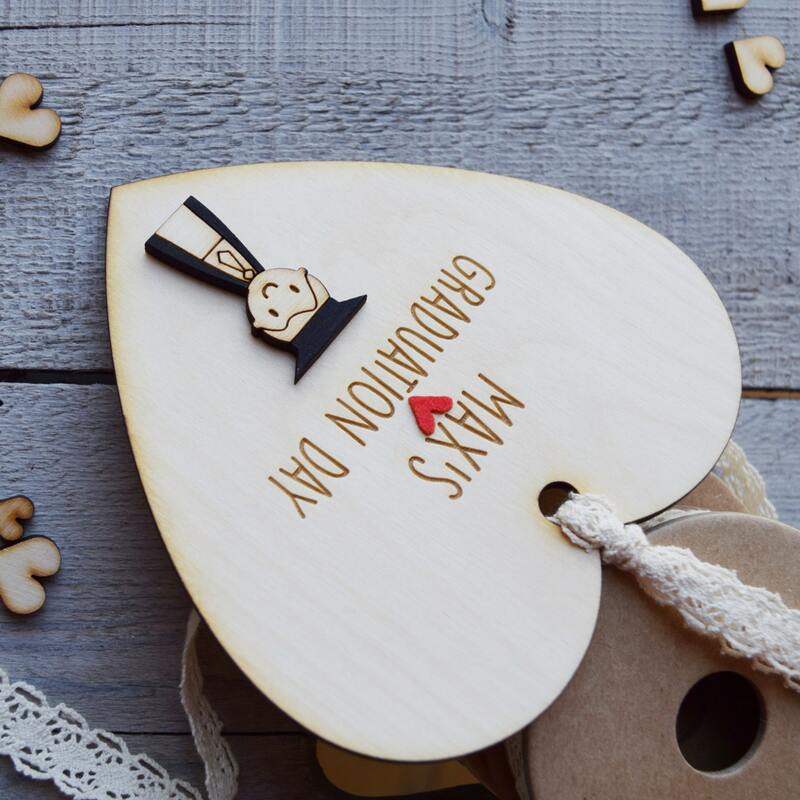 Each heart is individually made and engraved to order. A beautiful gift for a special day. 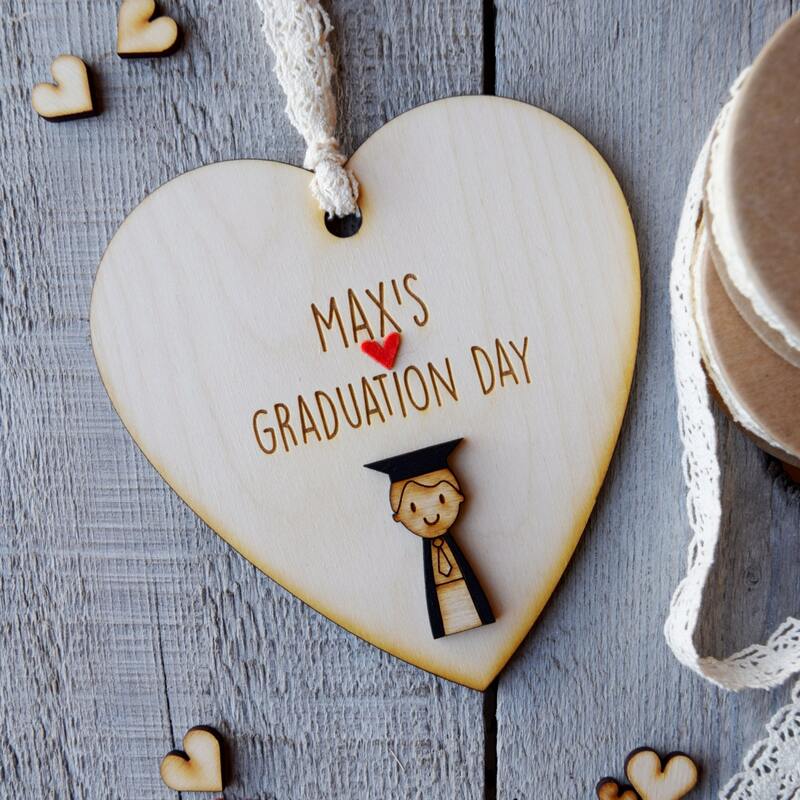 You can personalise the heart with the girls name on the front and on the back it reads (Congratulations on your graduation) and you can add the date of the graduation.